A few days back, during an interview given to Kairali channel, Omar Lulu, the director of 'Oru Adaar Love' revealed that he is not in touch with Priya Prakash Varrier, and made it clear that the character of the actress has changed a lot after she emerged as a popular celebrity. 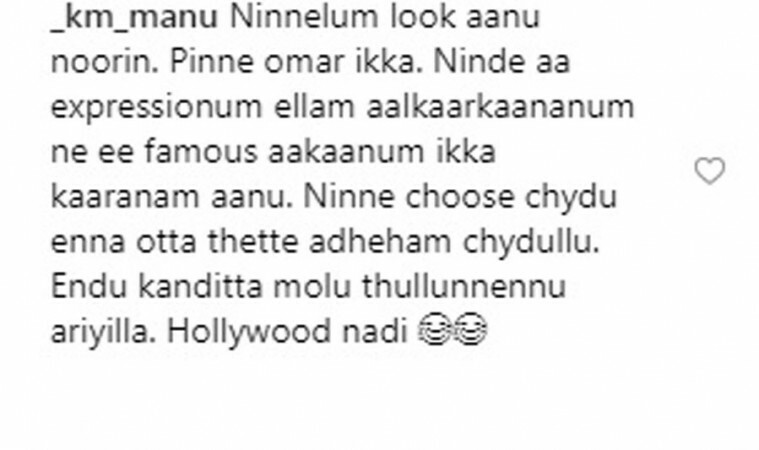 Omar Lulu's remarks about Priya Prakash Varrier soon went viral on online, and people started criticizing the starlet for being so rude with the director who paved the way for her debut acting venture. In the meantime, Priya Prakash Varrier reacted to these rumors and revealed that she is not opening up old stories as it will harm the image of many people. She also added that 'Karma' will speak in the future and those days not far away. 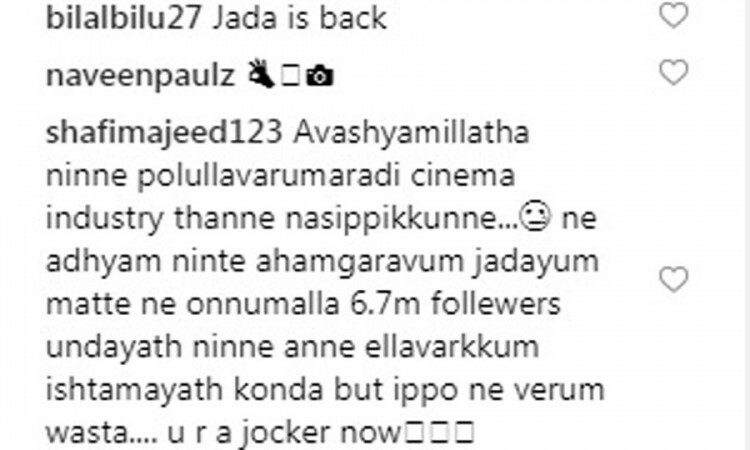 However, Priya Prakash Varrier's indirect reply to Omar Lulu has not gone well with social media users, and they are now brutally attacking the actress on her Instagram page. Many people sarcastically called Priya Prakash, a Hollywood actress, and argued that Noorin Sherif, Priya's co-star in 'Oru Adaar Love' is much talented. Some social media users event went a step ahead and claimed that Priya Prakash Varrier is a jocker in Malayalam film industry. These people argue that Priya Prakash Varrier has gained the publicity she enjoys now just because of Omar Lulu, and after attaining the fame, she has cleverly avoided the director. In the interview given to Kairali TV, Omar Lulu had cried when John Brittas, the anchor of the show, showed a video clip of him with Priya Prakash Varrier during a previous episode of JB Junction. In the clip, Priya Prakash Varrier was seen saying that she will take all career decisions after consulting with Omar Lulu. During the interview, Noorin Sherif had also revealed that she felt disappointed after her character in the movie was sidelined following Priya Prakash Varrier's iconic wink.